An interview with Shlomo’s Neshoma – VIN NEWS EXCLUSIVE! New York – Go to any simcha today, and as soon as the band begins any tune by a particularly legendary composer, everyone is suddenly dancing with the melody on their lips. But who could move people like few could? Who continues to elicit such a visceral, soulful reaction from his music, years after his passing? 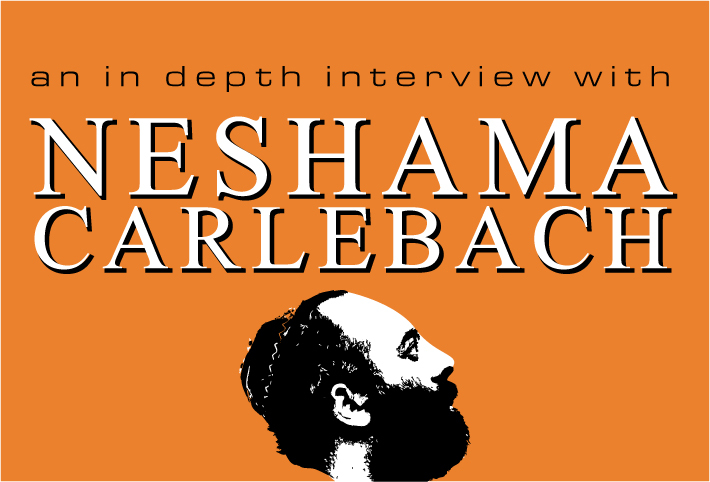 There could only be one answer: the one and only Rabbi Shlomo Carlebach, of blessed memory—one of the most universally loved, unconventional and effective Jewish leaders of this past century. The actual yahrtzeit, or anniversary of his death, is marked today, Tuesday, the 16th of the Jewish month of Cheshvan. Rabbi Carlebach died of a heart attack at the age of 69 while flying to visit relatives in Canada, and was buried in the Har HaMenuchot cemetery in Jerusalem. The importance and impact of Rabbi Shlomo Carlebach on today’s Orthodox world, particularly in the otherwise disparate fields of kiruv and Jewish music, are indelible. Rabbi Carlebach reached out to Jews in his trademark loving way, a method that brought thousands of Jewish souls back to Torah and mitzvos. To mark the significant day, VIN presents an exclusive, fascinating full-length video interview (click below) of Neshama Carlebach, R’ Shlomo’s daughter, by the Z Report’s Yossi Zweig. Neshama reveals for the first time of rare undiscovered music that is going to be released soon, and many surprises coming . Most significantly, with his simple, basic and uncluttered guitar chords (most of his songs used only two or three), he laid the foundation for Jewish music as we know it today. There is hardly any Jewish wedding today at which a Carlebach, or Carlebach-style, melody is not played. Shlomo Carlebach began using his guitar as a kiruv method in the late 1940s and early 1950s, realizing that he could attract Yidden to Yiddishkeit with it. Over the course of over four decades, he literally made thousands of Jews frum in the course of composing and performing his trademark simply-constructed, soulful melodies and storytellings. At another occasion, Rabbi Carlebach gave all the money he had just earned performing in concert–several thousand dollars, apparently–to a woman backstage who needed funding for her daughter’s operation and had nowhere to turn. According to Mendlowitz, Rabbi Shlomo Carlebach’s legacy was to always look for the good in everyone. “There has to be good in everybody—he felt that was his mission,” remembers Mendlowitz. Former Chief Rabbi Yisrael Meir Lau eulogy at his funereal in 1994 of Shlomo Carlebach can be read here .